Pagani has designed an electronically controlled flap system which compensates for differences in pressure between the four tires. Imagine peeling around a turn at a hundred miles an hour and your vehicles on board processor is able to adjust the downforce on your back two tires so you don’t slide out and crash. 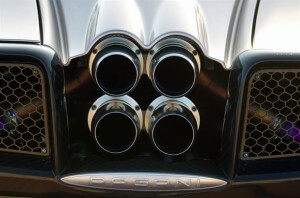 Many of the internal parts of the Huayra are machined ASPA in Modena, Italy. 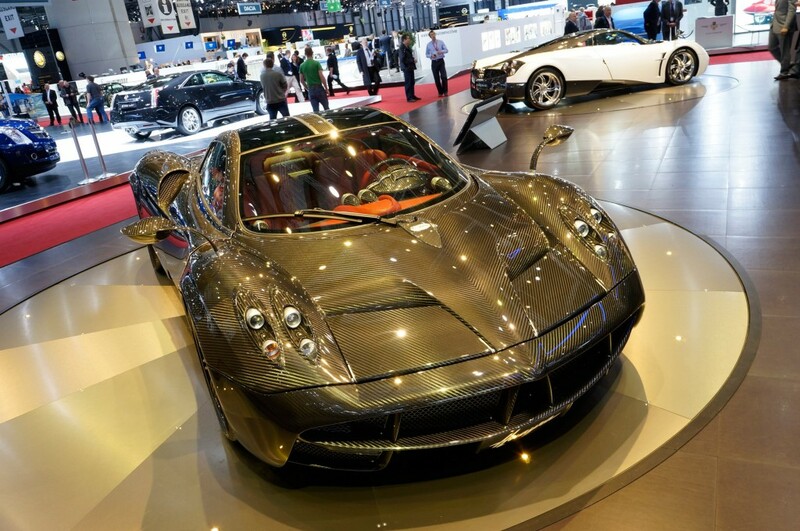 The Huayra needed to be extremely light to achieve desired performance so aerospace grade aluminum parts and a revolutionary carbo-tanium composite were used in the crafting of the chassis and inner mechanisms. Pagani has also enjoyed an extended partnership with Pirelli, the worldwide leader in premium tires, so the Huayra got hooked up with a custom set of P Zero™ tires. This car was designed around the idea of the wind and it’s lines are drawn with a flow that allows for minimum wind resistance. With such clean lines, such a powerful engine, and a frame that weighs less than 3,000lbs you have an extremely fast and maneuverable supercar. Just how fast is the Huayra? With a top speed of 235mph and the ability to withstand 1.66 G’s of lateral acceleration at these speeds it is truly a remarkable machine worthy of emulation. If you want to know more watch the documentary below.